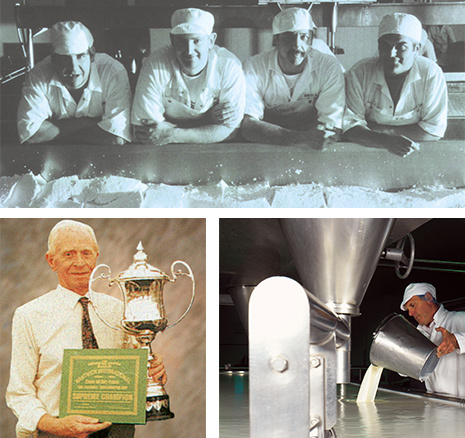 Dewlay Cheesemakers was founded by George Kenyon in 1957. A keen dairyman, he decided to set up his own cheesemaking dairy in the heart of Garstang. Since then, Dewlay has earned a reputation for producing the very best Lancashire Cheese. His son, Neil Kenyon, joined his father after leaving school and carried on the tradition of consistently producing high-quality Lancashire Cheese. 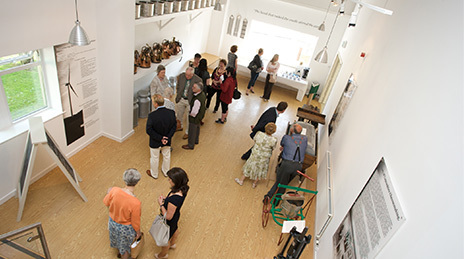 With great foresight and vision, in 1997 Neil moved the business to its current site, designing and building Dewlay’s dedicated dairy and packing site, nestled on eight-acres of land. Ever wondered where the name Dewlay came from? Dewlay’s founder George Kenyon derived the name from the French ‘Du lait’, which means ‘Of the milk’. But as he was born and bred in Wigan he pronounced and spelt it Dew-Lay! And so Dewlay came about. Cheesemaking has a rich heritage in Lancashire due to its lush, green pasture lands. Traditionally, farm holdings would not have enough milk to make a 20kg cheese, so they would make the curd on one day, store overnight and then make more curd on the second day, mixing the two together to create a 20kg cheese. 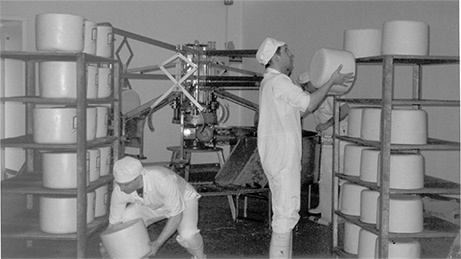 This unique system gave rise to the Lancashire Cheese, two-day curd method that is still being used by Dewlay today. 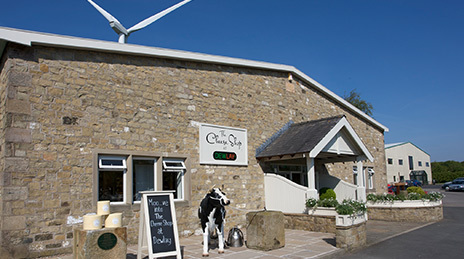 Located on the outskirts of the market town of Garstang, Dewlay Cheesemakers produce cheese five days a week from milk sourced directly from local farmers. 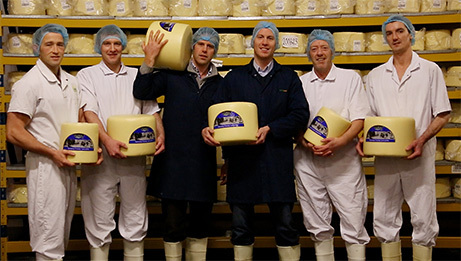 Our team of cheesemakers have a wealth of knowledge, with our head cheesemaker working for Dewlay for over 35 years… So there isn’t anything we don’t know about Lancashire Cheese! Consistently producing high quality cheese is what we do best, and all of our cheeses are suitable for vegetarians as they are made from pasteurised milk. 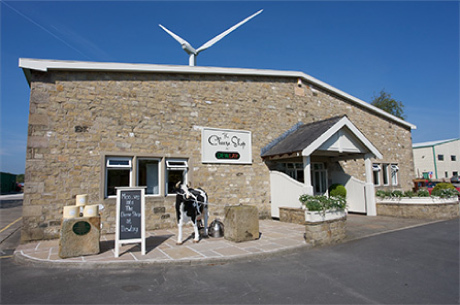 Alongside our dairy, we also have a state of the art cutting, packing and cold store building. 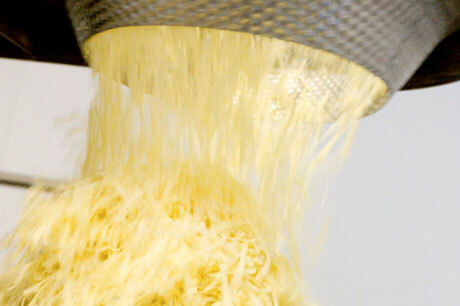 With grating, slicing, prepack and foodservice lines, we are able to meet the demands for supplying quality, handcrafted cheese in convenient packs. We can house 2000 pallets; which is equivalent to 2000 tonnes of cheese, in our purpose built cold store space, allowing Dewlay to offer a complete farm to fork service. 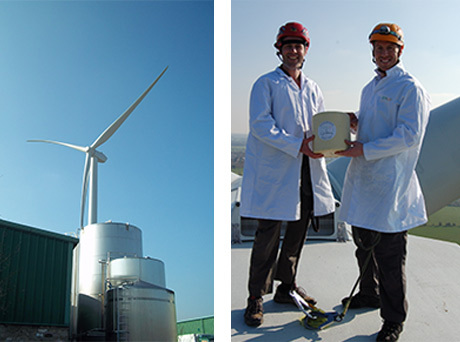 Our factory is powered by a 2mW wind turbine. Standing at 126 metres tall, it was installed back in 2010 and only took 48 hours to erect. 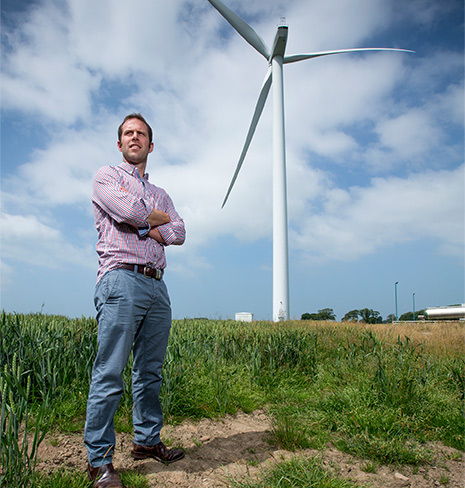 Per year, the wind turbine has reduced carbon emissions by 2992 tonnes; this is equivalent to the annual usage of over 1,100 homes. But how is energy produced? 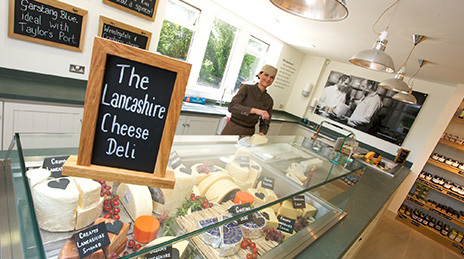 Committed to continuing the family legacy and name of Lancashire Cheese, Dewlay Cheesemakers strives to promote Lancashire cheese, in the area and beyond, by ensuring Lancashire Cheese really is made in Lancashire. With our roots firmly planted in Garstang, we aim to support and work with our farmers to ensure we use only the best quality milk for our products, as quality milk means quality cheese. 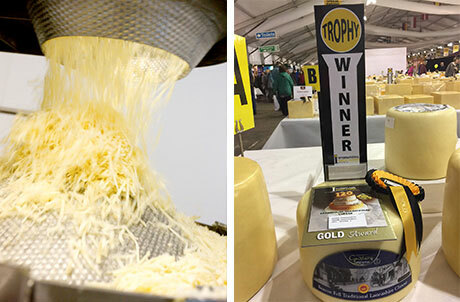 Continuing our expansion into new technologies and equipment, we aim to look at new packaging and developments, while still offering hand crafted cheese. We intend to move Dewlay Cheesmakers forward, all while remaining true to the ethos of Lancashire Cheese by offering hand crafted and traditional cheeses on deli counters, so you can experience the theatre of seeing a 20kg waxed cheese being cut for the first time. Sustainability will always be taken into consideration as we prepare the business for generations to come, so our future is simply to continue producing quality Lancashire Cheese. 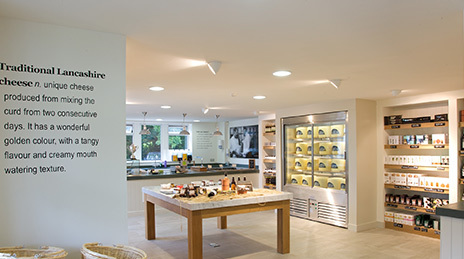 For those who love cheese, or want to discover more about us and how our cheese is made, we have a purpose-built viewing gallery overlooking our cheese dairy. 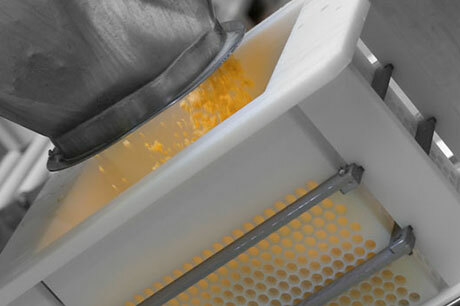 You can come and see cheese being made and maybe even spot your favourite cheese coming out of our presses. 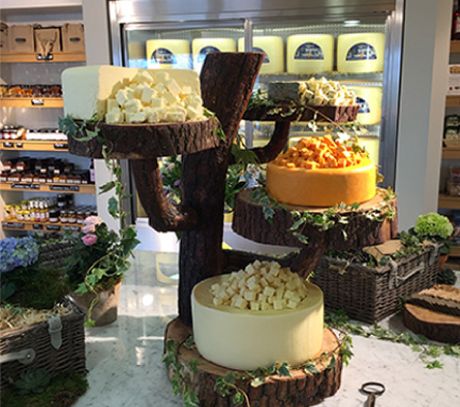 The Cheese Shop at Dewlay pays homage to cheese and you can find a wide selection of our cheeses available for you to try and buy, so we are bound to have your favourite cheese here! Not only that, but we stock a range of chutneys, crackers, wines and cheese accompaniments, as well as cheese boards, knives and other kitchen essentials. We also offer group tours. For social groups, schools and coach parties, click here for details.